Love the window scene! Both treat boxes are so adorable I can't choose! 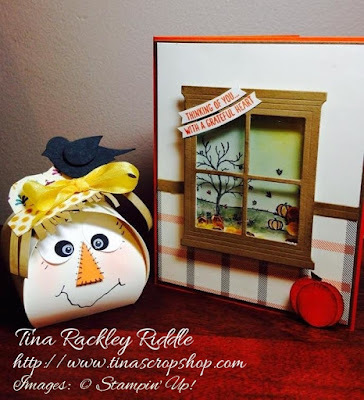 Tina your fall window scene is beautiful!!! :). Love your treat boxes too!!! These are stinking adorable; wow! Really awesome, TFS! How sweet Donna1 Thanks so much! Oh, how darling! 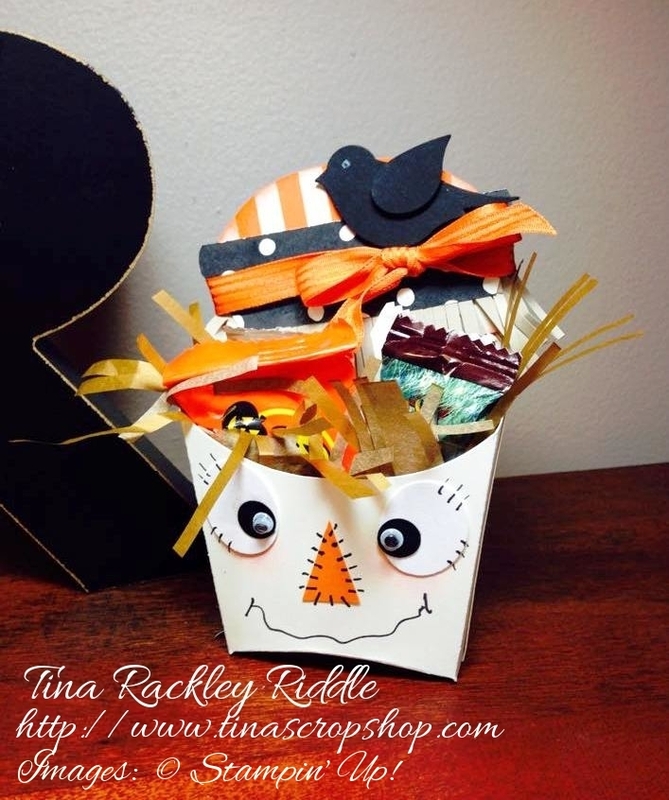 I love the scarecrow treat box! So cute!! I love your fall colored shaker. I need those pretty sequins! Plus, two adorably cute snowmen! great job! Tina, I love scarecrows! These two are adorable. I love the fall scene card as well. Love the scarecrows! Love the fall scene with the pumpkins! I will have to CASE! I absolutely love all of your incredible projects! So many sweet details, every time I look I see something new. 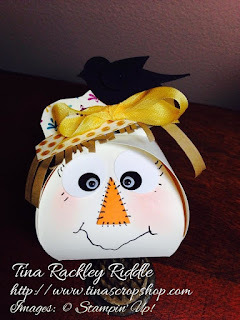 I'd only just realized that the card is a shaker card and then I saw the black birds in the scarecrow's hair! So awesome! Love the sequins behind the window in your card! And the scarecrows are adorable! 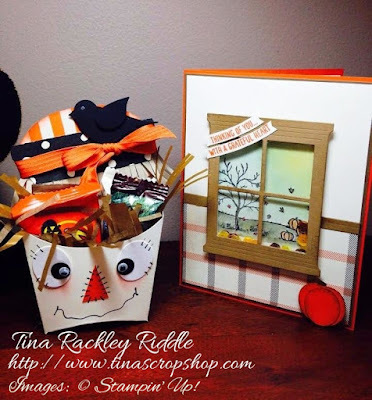 I love how you did your card Tina!,...and your treat boxes are sooooo cute!!! This is how to decide!!! Which one holds more candy?!? LOL Because that is the only way to determine since they are both so stinkin' CUTE!!!! Great job Tina!!! I'm so happy that you agreed to hop with us!